In my February 6, 2012 blog post announcing the $4.4 billion widening of Interstate 95 from the South Carolina to the Virginia borders, I boldly predicted that NCDOT’s proposal to finance the project through tolling could prove controversial. They don’t call me Master of the Obvious for nuthin’. As of this blog post, the nototollsi95.com website has 3530 signatures. The North Carolina Trucking Association, the Roanoke Valley Chamber of Commerce and a host of other local organizations and municipalities have all registered their strong opposition. 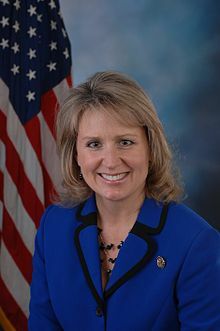 And now U.S. House Representative Renee Ellmers, a Republican from Dunn, has taken the fight to Congress, introducing legislation aimed at preventing North Carolina from participating in the federal pilot project that makes tolling on I-95 possible in the first place. That pilot program, passed by Congress as the Interstate System Reconstruction and Rehabilitation Pilot Program in 1998, permits three interstates to be reconstructed or rehabilitated using tolls. North Carolina became the third of the three pilot programs when it received preliminary approval to toll I-95 back in February of this year. The pilot program was created by Section 1216(b) of the Transportation Equity Act for the 21st Century (TEA-21) (for the lawyers, see 23 U.S.C.A. § 129 (note)). As currently written, subsection (2) of Section 1216(b) provides that the three tolling programs “shall be located in a different State.” Congresswoman Ellmers’ bill would change that language to read “shall be located in a different State, except that no such facility may be located in North Carolina.” The text of the legislation may be found here. The legislation has been referred to the House Committee on Transportation and Infrastructure, which in the coming weeks is likely to take up much broader surface transportation reauthorization legislation (something I intend to blog about in the coming days). Might Ms. Ellmers’ bill be considered in connection with that broader package? Stay tuned.